It all came down to the last race of the 2016 season: two drivers, one title: It was Nico Rosberg versus Lewis Hamilton at the final race of the year’s Formula 1 season in Abu Dhabi. 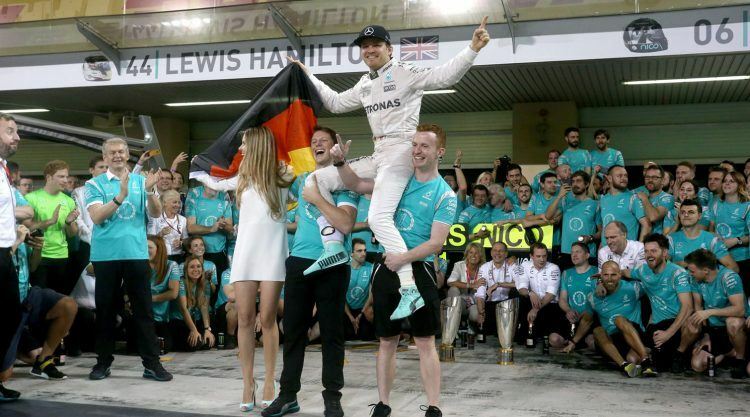 Both MERCEDES AMG PETRONAS drivers still had the chance to take the overall win, but while Hamilton won the race, his teammate and rival won the title: Nico Rosberg is the new F1 World Champion. Finishing the race in second place, Rosberg is the first German in a German constructor’s car to claim the throne. 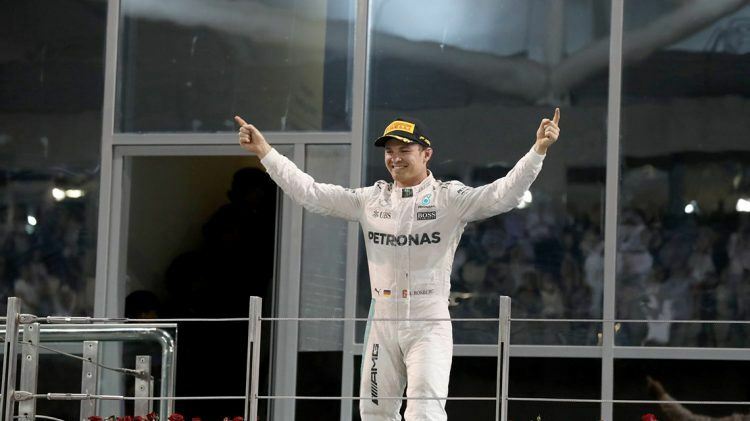 The 31-year-old drove to a final score of 385 points and is now the second World Champion of his family, succeeding his father and champion of 1982 “Keke” Rosberg. 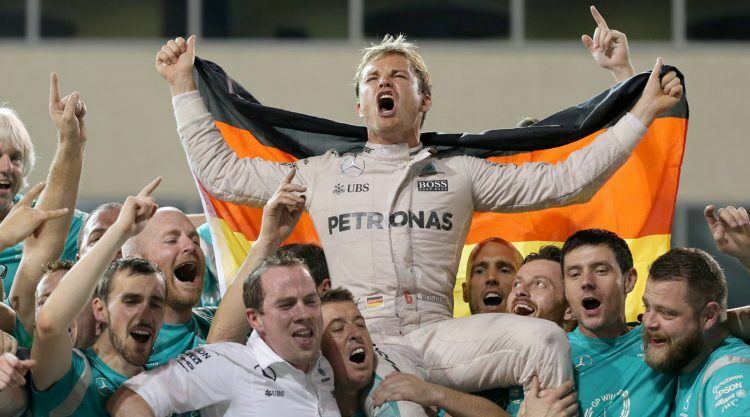 “It was my childhood dream to win the world championship and that’s done,” said Rosberg after his victory. The start of the race in Abu Dhabi saw the MERCEDES AMG PETRONAS drivers sprint off the line, with Hamilton leading Rosberg. The race proceeded without major incidents or mistakes for both drivers, which forced Hamilton into trying to back up his team mate, as he needed him to finish fourth or worse. Hamilton reduced his pace and made the gap between him and his rival Rosberg come down to less than a second. Rosberg felt the pressure from the other drivers closing in on him from behind, but kept his cool and his driving flawless. Hamilton passed the chequered flag 0.4s ahead of Rosberg to score his 10th win of the season, 53rd of his career and to pass on his world title to Nico by 5 points. It was an absolutely outstanding season not just for the drivers, but for the whole PUMA-equipped MERCEDES AMG PETRONAS Formula 1 team, as they were able to win their third consecutive Constructors Championship (with an overall 765 points) in a row, four races short of final race. Nico Rosberg’s close title race against Lewis Hamilton exemplifies this year’s outstanding accomplishments of the MERCEDES AMG PETRONAS team and our high performance race gear that accompanies both the drivers and team on the race track. Forever Faster. Nico Rosberg was born in Wiesbaden, Germany, on 27th June 1985. 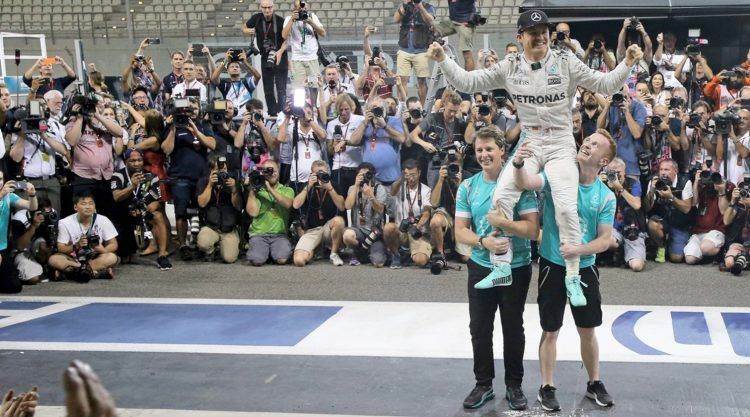 The MERCEDES AMG PETRONAS driver is 1.78m tall and weighs 67kg. He had his career debut Bahrain in March 2006 and his first career win in China in April 2012. His biggest achievement to date: becoming World Champion in 2016. Our supplier partnership with the MERCEDES AMG PETRONAS Formula 1 Team began in 2012. The agreement means that PUMA is the Official Supplier of Technical Clothing and Footwear and an Official Licensee of footwear, apparel and accessories for the team, outfitting drivers Lewis Hamilton and Nico Rosberg with our lightweight race suits and footwear. All technical pit personnel also wears our latest innovations in performance race wear.